Is isolated testing dead? Some argue integration and acceptance testing is better. Brandon Savage discusses how there’s a place in the PHP world for both. Over the years there have been a number of different channels for the Zend Framework community to use, each with its own merits and problems. After re-evaluating how to better engage with the community, an announcement has been made this week on the Zend blog. Also this week, on the Full Stack Radio podcast, Adam is joined by David Hemphill as co-host, discussing his new project Crondog. Plus in a Lightning Talk on NomadPHP, Kenneth Schabrechts suggests that, as well as improving technical skills, it is important to focus some of your time on training and learning to use your soft skills to help you be a better developer. And finally, online conference PHP Unicorn takes place next month, with talks from Adam Culp, Freek Van Der Herten and Lorna Jane Mitchell, to name a few. Get your ticket now and watch live or save it for later! Now in Early Access — JawsDB is out of the tank and in the wild. Our MySQL-as-a-Service makes database deployment and management simple. 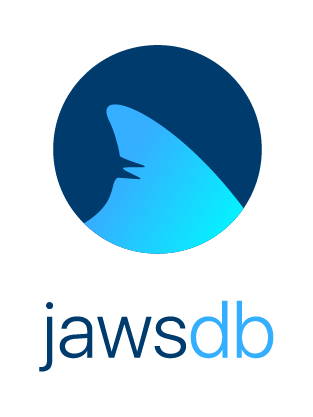 Get started with a free month of our 2.5GB MySQL Blacktip database by signing up through Manifold using this promotional URL. JawsDB will be generally available next week, so reel in the offer before it swims away on April 12th. This is a joint statement from project lead Dries Buytaert and Megan Sanicki, Drupal Association Executive Director. Recently there’s been a great deal of discussion as to the merits of isolated testing versus integration and acceptance testing. Some proponents argue that integration testing far outweighs the value of isolated testing. While this is a perfectly valid position, I feel it oversimplifies the complexity of testing in the same way that the “isolated testing only” crowd does. When writing command-line applications for PHP, consider using a using logger for screen output. This is something I’ve done with great success in several projects. Many developers want to "rewrite the whole application" and "get rid of all that sh*t". Most of them are pretty blank when I tell them that I really like working on such code bases, even if I just jumped into the code. I recently talked about that to the other Qafoo members and all of them agreed to my views. Therefore I want to explain our love of legacy code in this post. In October 2015, we discontinued the translations of Symfony docs (French and Italian at that time) and we decided to only publish documentation in English. The main reason behind this decision was that translations were not in sync with the original contents, so we couldn't guarantee our readers that the non-English docs were correct. Now it's time to do the same with the rest of translations of symfony.com. In this Programming With Yii2 series, I'm guiding readers in use of the Yii2 Framework for PHP. In today's tutorial, I'll share with you how to take advantage of Yii's console capacity to run cron jobs. Composer has made big waves in the PHP community in recent years. Thanks to Composer’s creators, Jordi Boggiano and Nils Adermann, Composer has become the absolute backbone of PHP’s package infrastructure today. In this blog post, we shall be introducing Composer, from the ground up. We will see what packages are, how they should be versioned, and how to install them into your application. Learn about Composer and never look back! Today, I will demonstrate how you can use Queue in Laravel 5.4 for email verification by using integrated auth RegisterController. In addition, I will also show you how to add the email sending process to a queue to make your app processes faster. In this article, I am going to use a database for the queue jobs. cURL is the workhorse of the modern internet. As its tagline says, cURL is a utility piece of software used to ‘transfer data with urls‘. According to the cURL website, the library is used by billions of people daily in everything from cars and television sets, to mobile phones. It’s the networking backbone of thousands of applications and services. Unsurprisingly, it’s also a core utility used by WordPress’ own Requests API as well as our own WP Migrate DB Pro. If you’re curious about the power of the cURL library, how it works with WordPress and what to watch out for (especially on macOS), then you’re in the right place. As a programmer you may know the Gang-of-Four Builder design pattern. The Docker builder pattern has nothing to do with that. The builder pattern describes the setup that many people use to build a container. When you are building custom HTML email templates, it’s typically a chore to test them across all the email clients, and testing them over and over. There are a few tools like Litmus which help solve this problem, but the service is expensive. “I’d like to make a multiplayer, economy-based game. Something like Stardew Valley, but with none of the befriending aspects and a player-based economy”. I started thinking about this the moment I decided to try and build a game using PHP and ReactJS. The trouble is that I knew nothing about the dynamics of multiplayer games, or how to think about and implement player-based economies. I wasn’t even sure that I knew enough about ReactJS to justify using it. JSON Web Token (JWT) is a JSON-based open standard used to create access tokens that assert some number of claims. In a palpable example, the JWT represents a key between a server-client relation: the server generates a token that has the claim "logged in as admin" and give it to a client, which could use that token to prove that is logged in as admin. The tokens are designed to be compact, URL-safe and can also be authenticated or encrypted. Welcome! This is the follow-up episode to Building Your Startup: Meetings with Multiple Participants. Today, I'll be completing the work that we began in that episode: scheduling multiple participant meetings. How to easily integrate user input into your state management on the mobile platform. In this tutorial, we walk through a few different scenarios of using league/period. The package league/period is from PHP League and its purpose is to make handling date range in PHP easier for developers. Community Corner: Newsletter and Slack! Over the years, we've had a number of different channels for the Zend Framework community to use. Each has had its merits, and each has its problems, ranging from discoverability to usability. As such, we've been re-evaluating what we're doing, and focusing on how to better engage with the community, but also allow community members to better engage amongst each other. We're now announcing the first two changes! Version 5.4.6 of Lumen has been released this week with several issue fixes. The PHP Unicorn Conference is an online conference dedicated to the programming language PHP. You’ll see talks from some of the world’s more recognizable PHP experts; speaking talent so rare, we call them Unicorns. It is true there are many great PHP conferences happening around the world and you should go to as many as can, but if you have a hard time getting to one or can’t spare the time, why not let the conference come to you? The PHP Unicorn Conference comes streaming right to your computer, wherever in the world you might be. So, join us online on May 4, 2017 for an all-day, can’t miss PHP event and hang out with some PHP Unicorns!!! Save The Date! Nope, we aren’t going to tell you the topic yet. Nope, we aren’t going to give you the list of speakers yet. All we are giving you right now is the date. Mark it on your calendar today. Get ready to learn. Day Camp 4 Developers. Invest a day in your career. MySQL: Analysis, Understanding, and Optimisation of Queries, presented by Michael Moussa. Your new database query ran quickly when you tested it, but seconds after deploying it, alarms are blaring and you’re scrambling to rollback before the site goes down. What happened?!? I can “EXPLAIN”. Queries that perform well under development load with limited datasets can easily bring a database to its knees under production load. In this talk, you will learn to decipher MySQL query execution plans, recognise portions that can be improved, and take the necessary steps to optimise your queries – all without starting any fires! Code Coverage for Total Security in Application Migrations! Presented by Dana Luther. So the time has come to take the leap and upgrade your application to a new major version of the underlying framework, or, perhaps, to an entirely different framework… how do you ensure that none of your functionality or usability is impacted by a potentially drastic rewrite of the underlying systems? How can you move forward with 100% confidence in your migrated codebase? Testing, testing and more testing. Using a combination of unit, functional and acceptance tests can give you the certainty you need. In this talk, we will go over key strategies for ensuring that you begin with full code coverage and move forward with confidence. In this weeks show we follow on from our previous episode’s discussion with Scott Wlaschin. We delve into separating out the client from the behaviour and state, initially highlighting the Batch Command approach. From here, we move on to discuss the Actor Modal, Event Sourcing and Functional Reactive Programming solutions. Finally we touch upon handling the behavioural dependencies, followed by creating an Interpreter and Capability-based implementations. This week Cal Evans interviewed Chief Architect of Zend Framework, Matthew Weier O'Phinney, discussing Zend Framework 3 and Apigility. Full Stack Radio Podcast Episode 61: We're Building Products! James Long joined the show to talk about his recent post, "Why I'm Frequently Absent from Open Source". He shared several points in his blog post that struck a chord with us, so we invited him on the show to talk through the gritty details and peel back the layers of open source — the people involved, sustainability, the responsibility, the guilt, and the balance it takes to keep it all together. The guys rap about Phillip's Imagine talk and the new Community Engineering initiative. Topics include Lone Star PHP 2017 and Teach Yourself Computer Science. Many developers are not happy with working for other companies. They do not have much autonomy to work on projects they want, they cannot work from home, they cannot work any time they want, and in the end they get paid a limited amount of money. Watch this short video to learn about why creating your own products is the right step to be a happier developer, as well how you can attend a free online workshop that will teach the essential steps to achieve that goal. My trusty microphone, camera, and I recorded a few great conversations in Mumbai that have never been released until now. Today, talking about full-time contribution to Drupal 8 while building the Acquia Lightning distribution, passion for community and paying it forward in open source, and Drupal in India with Abhishek Anand. This project bundles together all the usual PHP quality control tools, and then some. 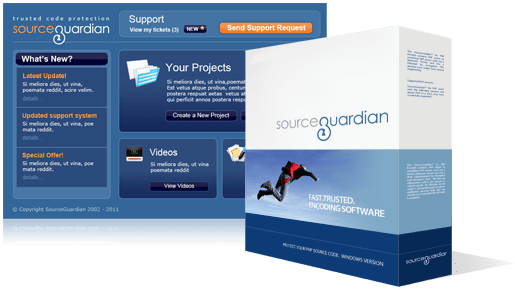 It simplifies the installation and configuration of the tools and helps developers to push up the quality control bar on their projects. Use this library to report background jobs or long running scripts to New Relic APM. Lightweight Asterisk configuration utility written in PHP. Library to create classes following the State pattern in PHP. This can be a cleaner way for an object to change its behaviour at runtime without resorting to large monolithic conditional statements, and this improve maintainability. The fast pure PHP database framework with a powerful static code generator, designed for PHP7. eCommerce PHP framework built on top of Symfony with component-based architecture and format-agnostic rendering. Non-standard PHP Library (NSPL) is a collection of modules that are meant to solve common day to day routine problems. PHP web app for planning poker. It includes a master view for the ScrumMaster and a simple responsive card view for the team.